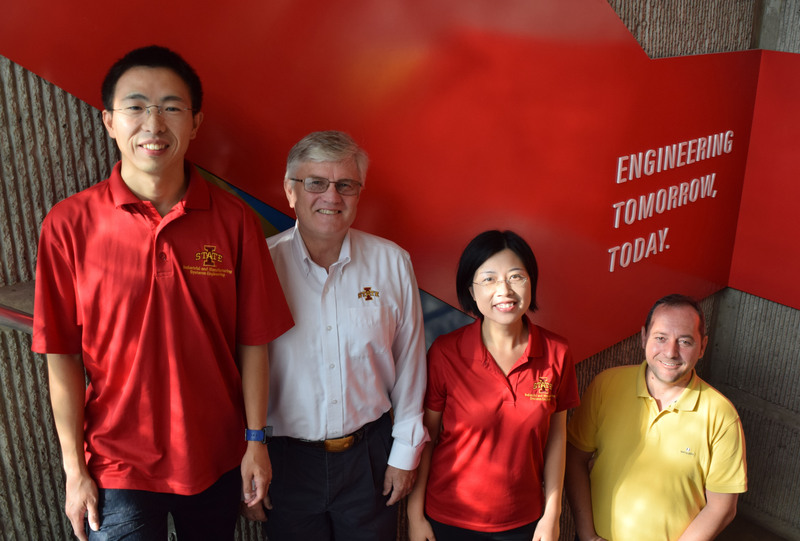 Ames, IA (September 13, 2018) – An interdisciplinary team at Iowa State University is trying to bridge the gap between agronomy and engineering to increase efficiency and reduce uncertainty for a range of key agricultural issues. The group received a five-year, $2 million grant from the National Science Foundation to apply innovative machine-learning and mathematical modeling to plant breeding and farm management practices. The research will help farmers and crop breeders make more informed decisions by applying new techniques to perennial problems, says Lizhi Wang, an associate professor of industrial and manufacturing systems engineering and principal investigator on the grant. “These are novel methods to address problems that go back a long time,” Wang says. William Beavis, a professor of agronomy on the research team, says plant breeding can benefit from an engineering perspective. That means using math and technology to make real-world predictions. The sheer complexity of making projections for biological processes made this approach problematic in the past, but that reality is changing, Beavis says. The researchers plan to focus on three areas. The first is harnessing mathematical models to better predict phenotype, or traits, of crops based on their genotype and environmental conditions. The second area is genomic selection, or the decisions plant breeders make in designing new crop varieties. The third is optimal farm management practices, such as what seed to plant or when to plant it, to maximize profits and reduce uncertainty. Much of the work relies on innovative modeling techniques to predict outcomes much faster than traditional experimental approaches, says Sotirios Archontoulis, an assistant professor of agronomy and member of the research team. The new tools will account for genetic adaptation of crops in the face of environmental challenges posed by climate change, he said. The datasets used to develop the tools will originate from both public sources and from leading agribusiness firms. Archontoulis says the concept is similar to weather forecasts, which people use every day to inform decisions about what to wear or whether to carry an umbrella. He says modern technology now allows for the forecasting of agricultural outcomes that take into account crop genetics as well as environmental conditions. Using these models in a virtual world can inform the decisions of plant breeders and farmers in the real world, he says. “Within seconds, we have a distribution of outcomes for various scenarios,” Archontoulis says.